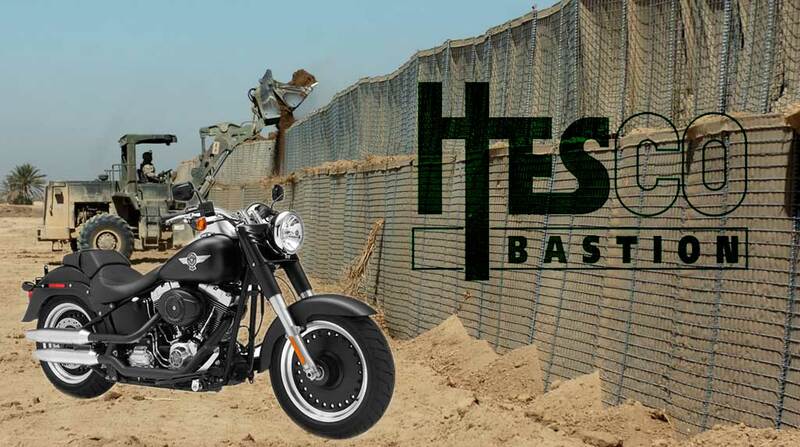 Hesco bastion, everyone’s favorite fortification company is running a photo competition where you can win a Harley Davidson FatBoy. The details are laid out HERE, including suggested photo “themes”. The 4 pictures they have up there from previous winners look pretty stale, so I’d suggest mixing things up a bit and getting creative if you want to win. If you’re in the sandbox and these barriers are saving your life on a day to day basis, you might as well snap a couple photos with them in an attempt to have a nice looking bike waiting for you when you get home. Is this the fence along the USA-Mexico border?